We cannot live in fear of contracting deadly diseases because the Bible says, “For God has not given us a spirit of fear, but of power and of love and of a sound mind” 2 Timothy 1:7 (NKJV). 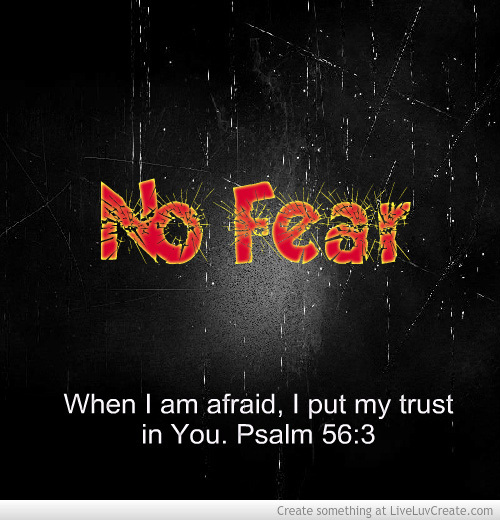 If you have a problem with fear, then take a look at my posts: “7 Tips to Conquer Your Fears and Trust the Lord”, “10 Bible Verses to Conquer Fear” and “How Prayer Helps Fear and Anxiety”. God has appointed a time that each of us will die, so we shouldn’t fear diseases or bad events. When it is time for you to die, you will die no matter whether it is by car accident, illness, war or you just drop dead. Rather than worry about your own death, worry about those who will die without Christ. As the flu season seems exceptionally bad this year, I am sure that many of you may also be concerned about all the viruses and infections your child will contract in school. My family very rarely gets sick. Both of my kids have had perfect attendance in middle school 3 years in a row. We do try to eat healthy, don’t drink after each other, and wash our hands before meals, but I believe that the secret to our health is praying for disease prevention. I believe the Lord heals today, but it is far better to never get sick. In the Old Testament, God promised the Hebrews that He would keep them from diseases. “If you diligently heed the voice of the LORD your God and do what is right in His sight, give ear to His commandments and keep all His statutes, I will put none of the diseases on you which I have brought on the Egyptians. For I am the LORD who heals you” Ex 15:26 (NKJV). Like many of the promises in the Word of God, this promise is conditional. If you pay attention to many of the promises in the Bible, most are conditional. We have to meet some sort of condition in order for God to meet His promise. In this verse the condition is to diligently heed the voice of the Lord, do what is right in His sight, listen to His commandments and keep all His statutes. These conditions are the basic requirements for answered prayer in the Bible. If you think that prayer is a waste of time, because God does not listen, then perhaps you need to examine yourself and make sure you are meeting His conditions. If you don’t meet the conditions, then God probably isn’t listening to your prayer. Once we meet the condition of prayer mentioned in this verse, God promises to keep you from the diseases of the Egyptians. It’s as simple as that. Perhaps you don’t believe this verse applies to you because you are not a Jew. According to the book of Romans, we are grafted in with Israel. “And if some of the branches were broken off, and you, being a wild olive tree, were grafted in among them, and with them became a partaker of the root and fatness of the olive tree,” Romans 11:17 (NKJV). I believe that God’s promises in the Old Testament apply to us because we are grafted in and are partakers of the root and the fatness of the olive tree just like this verse says. When praying, God wants us to remind Him of His promises in the Bible. He says, “Put Me in remembrance; Let us contend together; State your case, that you may be acquitted” Isaiah 43:26 (NKJV). It’s not that He forgets His promises, but He wants to make sure that we know what His promises are. When I pray, I try to find a promise in the Word of God and pray the promise back to God. The Lord does not go back on His promises. “And you know in all your hearts and in all your souls that not one thing has failed of all the good things which the LORD your God spoke concerning you. All have come to pass for you; not one word of them has failed. Therefore it shall come to pass,” Josh 23:14-15 (NKJV). God’s promises never fail. If they seem to fail, then check to make sure you are meeting the conditions of the promise. mountain, ‘Be removed and be cast into the sea,’ and does not doubt in his heart, but believes that those things he says will be done, he will have whatever he says. “Therefore I say to you, whatever things you ask when you pray, believe that you receive them, and you will have them” Mark 11:22-24 (NKJV). It also says, “Death and life are in the power of the tongue” Prov. 18:21 (NKJV). So to sum this all up, change your confessions about getting sick and remind God of His promise to keep you from the diseases of the Egyptians. Let me know if your family is healthier this year. Keep in mind that the Lord required the Jews to eat healthy. We can’t eat junk food and expect the Lord to “bless this food to the nourishment our bodies. So I hope you and your family have a healthy, productive school year.